Want to buy a camping gift for someone? Perhaps you have a birthday, Christmas, or Mothers’ or Fathers’ Day gift to purchase but are at a loss for original or unique ideas. First of all, we salute you for thinking about it. Giving a gift to help somebody enjoy the outdoors more is a gift that can improve their quality of life, and quite possibly their health as well. If you’re on a tight budget, these low-cost gifts are just what the doctor ordered. Useful and outdoor motivating, without breaking the bank! A spork is easily one of the most versatile items for eating in existence, because it’s basically a fork and a spoon in the same tool. For camping, you will be better served with a spork that you can clean and use repeatedly versus one that you just throw away after each use. Not only is it more friendly to the environment, it will be cheaper in the long run as well. A titanium spork will without a shadow of a doubt one of the most durable and long lasting sporks that you can buy. This ultra-compact power bank is one of the smallest and lightest 10,000 mAh batteries on the market. Smaller than a deck of cards, and lighter than a baseball, this battery bank will power almost 3.5 iPhone 8 charges, and 2.5 Samsung Galaxy S8. When you’re outdoors, you hope you don’t need your devices, but if and when you do, it’s critical to have power! Backpacker Magazine is one of the best resources to read stories and learn about information and survival advice on backpacking and anything else related to the outdoors. The fact that you can get a year’s subscription for less than ten bucks makes it a truly awesome deal. The ExOficio Briefs are a special kind of men’s briefs designed to keep bacteria down to a minimum. This is because it is treated with antimicrobials in the fabric. The briefs are also designed to keep their shape and size in the washing machine as well. The QALO silicone ring is designed to be a versatile and functional alternative to normal wedding rings. It requires up to twenty two pounds of force to break, and is also designed to be very comfortable to wear and resistant to temperature changes or inclement weather. Most people are fully aware of the importance of bringing a flashlight on a camping trip, but far fewer recognize the importance of a headlamp. The main benefit to a headlamp over a flashlight is that it allows you to see in the dark while also allowing both of your hands to be free, which can certainly be a huge convenience. Who doesn’t like gift cards? Hook them up, and let them buy whatever camping items they want? Cabelas, Bass Pro Shops, Amazon, and REI will definitely be the best gift cards you can get for survival and outdoor related items. Perhaps you have a little more to spend on the camper in your life. These moderately priced camping gifts are sure to bring a little “surprise and delight.” Scan, decide, and deliver! 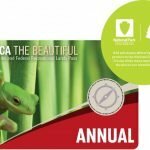 Want to deliver any one of America’s thousands of National Parks but are concerned about the expense? You won’t need to be with an America the Beautiful National Parks Pass Power Bank, which covers the the entrance for four adults into over two thousand parks in the United States. You’ve heard of camping shoes before, but have you heard of camping slipper shoes? That’s exactly what these shoes form Teva are. They have a polyester and suede overlay with a rubber sole, and an EVA foam in the midsole for added cushioning. These will be a good choice for walking around camp during mornings or evenings but when you don’t want to have your hiking books strapped on. What if you could have six cool outdoor products delivered to your house every month for just $27.45 every month? That’s exactly what the Monthly Outdoor Box is, and you’ll be able to customize it every month so you’ll receive new items each time as well. This will definitely be an excellent way to save money while purchasing camping items. Yet another cool cooking item to bring on your camping trip will be the Jetboil. This device features a redesigned regulator and valve to allow you to property control the temperature while cooking. It also features a drink through lid, measuring cup, and a push button igniter for convenience. If you get stranded in the wilderness and need to signal for help, you’ll want to pay close attention to the Spot 3 GPS. This device utilizes satellite technology to send out your GPS location to emergency responders, friends, or family when you are stranded in the wilderness. It is pocket sized and easy to carry around as well. Are you going to go camping with your dog and do some water related sports? If so, you may want to invest in the Ruffwear Dog Flotation device, which essentially acts as a life jacket for man’s best friend. It is fully adjustable and is designed to accommodate all sizes of dog. A dry bag is simply any ‘stuff bag’ designed to keep the contents inside of the bag dry, as the name suggests. For any water related activities on your camping trip, such as boating, kayaking, or water skiing or anything like that, a dry bag will definitely be something worth having. Generosity is a beautiful thing, and if you are feeling it for the camper in your life, then these are some bigger ticket gifts that will be appreciated! Choose from some of the most-requested tools and gear for outdoor enthusiasts. The ability to purify water is essential during any camping trip or survival situation. One of the best water purifiers as well is the MSR Guardian, which is a military grade purifier pump that can treat a total of 10,000 liters of water, 2.5 liters at a time. It will remove everything from waterborne threats to bacteria to viruses to protozoa. 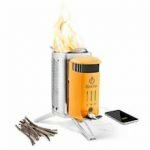 Another highly desirable ability to have on a camping trip will be to keep your devices fully charged while you are away from the power grid. Your phones and GPS devices are just two examples. One item you can use to keep them charged while you are away from the city will be the Goal Zero Nomad 8. This will charge devices through 12V and USB outlets. It is foldable and weather resistant as well. Want to read a book while relaxing on a hammock in your camping area? You could always use a regular book, of course, but if you want to have a large collection of books available at once you’ll need something such as the Kindle Paperwhite Reader GoPro Hero. This produces twice as many pixels as other kinds of Kindle devices, and also keeps screen glare down considerably. A single battery charge will last you for weeks, so you won’t need to worry about recharging it either. A cooler is absolutely essential for any camping trip, assuming that you want to bring food or beverages with you that need to be kept refrigerated. The best kind of cooler to get will be one that is very durable while also being large enough to carry a large number of items, and a prime example of such a cooler is the Yeti cooler. Snowshoes aren’t only something you’ll need on a winter camping trip, they’re also something essential to have as part of your car survival kit during winter as well. If your vehicle is ever stranded, you’ll need snowshoes if you want any hope of walking back to civilization, because otherwise your feet will sink into the snow, and you’ll lose a lot of energy (not to mention the fact that your progress would be very slow as well). The Polar Man’s Classic Napsack is one of the most unique kind of sleeping bags on the market. It’s build out of one hundred percent polyester and is designed to completely cover the body from head to toe with the exception of the face. It even features a hood in order to keep the head covered. Installed with Thermastuff insulation, it is designed to offer you enough warmth down to temperatures of fifty degrees Fahrenheit, which is more than suitable for sleeping during the summer time. 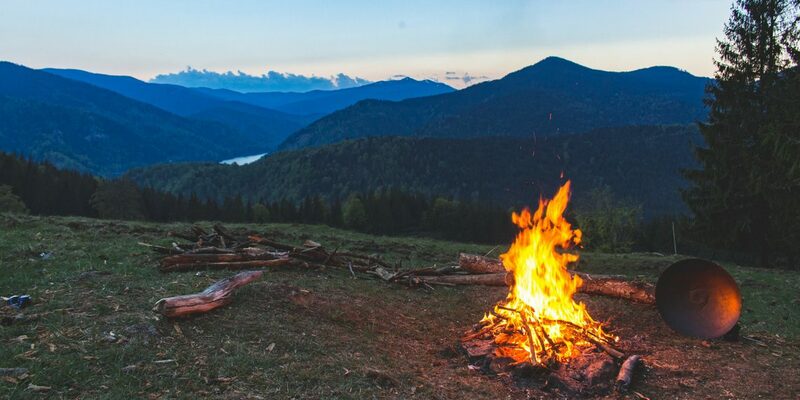 While the more classic option for cooking food while camping would be a campfire, in the event that starting a fire is not legal in your area or you just don’t want to, you’ll need to use something such as a stove instead. A prime example of one would be the MSR pocket rocket stove, which is very light at just two and a half ounces and is also very compact, making it suitable for travel. It can boil a full liter of water in just three and a half minutes. Another example of a camping stove that you could go with is the BioLite Camp Stove. This stove is unique, however, in that it can turn fire into electricity. It will power most USB devices such has phones. Twenty minutes of charging with the fire, will give you about an hour’s worth of talking time on a smartphone, to give you an idea. The Steri Pen Water Purifier is a compact water purifier and also one of the most technologically advanced purifiers in existence. It can eliminate 99.9% of viruses, bacteria, and protozoa, and can treat up to 15,000 liters of water. An OLED display will show you the battery life and treatment status. It is USB rechargeable as well.